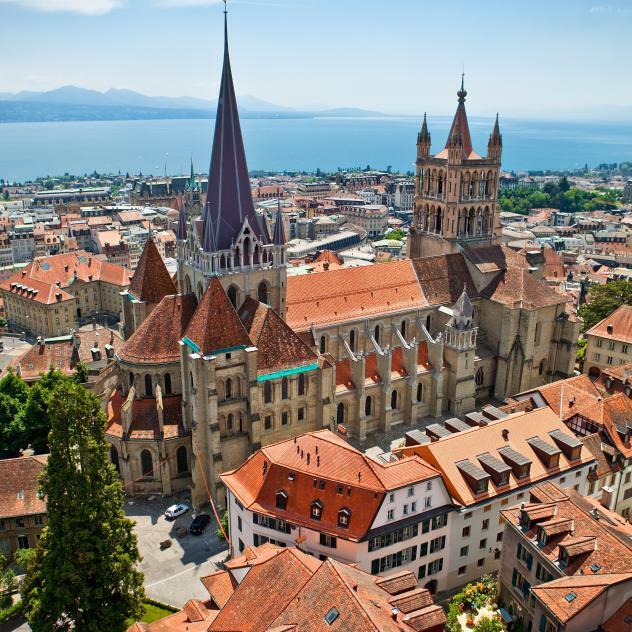 Whether by bus or by bike, on foot or on skates, discover Lausanne, Olympic Capital: museum visits, a stroll in the parks and gardens or along the floral quays, excursions on the lake or in the vineyards, sporting and cultural activities, a relaxing spa break, shopping and nights out. So let’s get exploring Lausanne and make sure we don’t miss anything! The agenda of Lausanne is one of the richest of Switzerland. Sport, culture, terroir, family: All areas are at the heart of celebrations, under the sign of sharing, discovery and emotions. As headquarters of the IOC and many sports federations, Lausanne organizes first-rate competitions for professionals and amateurs. The spectators’ delight during these events creates an incomparable atmosphere. In a different but just as intense atmosphere, cultural events let the mind travel. Even when the temperature drops, the magic of the Christmas season brings together thousands of people in the streets. In Lausanne, the number of museums and cultural offers is unique. Exhibition buffs are well served here: photos, paintings, sculptures, drawings or design objects. The city is an open-air museum for history fans who stroll through the old town called “La Cité” and visit its splendid Gothic cathedral, while fans of architecture admire the century-old, contemporary or even futuristic buildings. In the evening, there are many stages offering performances by actors, dancers or musicians, who transmit special emotions to an audience won over in advance. As a gourmet city, Lausanne is close to the countryside and its craftspeople, the fishermen on Lake Geneva and especially the Lavaux vineyards, which are part of the UNESCO World Heritage programme. The best wines - including the famous white wine Chasselas - terroir products and lake fish are served in the best restaurants in town. So it is not surprising that the gastronomic addresses have an extraordinary number of Michelin stars and GaultMillau points. Just have a stroll in the old town and the modern quarter called Le Flon to find terraces and restaurants offering appetizing dishes and exceptional wines. As a green city, Lausanne is proud of its parks where inhabitants and visitors come to relax. The museum and the botanical gardens are lush places that are accessible free of charge. Not far from there, the waterfront neighbourhood of Ouchy abounds in natural spaces on the shores of Lake Geneva. From the landing stages, Belle-Epoque boats of the company CGN take passengers on a cruise around the lake, the most popular destination being the terraced vineyards of Lavaux UNESCO. To discover the secrets of the freshwater fauna and flora without even leaving the city, the aquarium-vivarium Aquatis invites you to a trip to the five continents. As the Olympic capital, city of innovation and research, and an international economic city, Lausanne is a true place of business. At the crossroads of Europe, close to the international airport of Geneva, its accessibility is one of its many assets. Offering more than 5,000 hotel beds and conference centres such as the innovative SwissTech Convention Center and the vast complex of Beaulieu, Lausanne's infrastructure is ideal for businesses. Universities, multinationals, as well as the tourist offer represent countless opportunities for discoveries during business trips. Are you short of time? 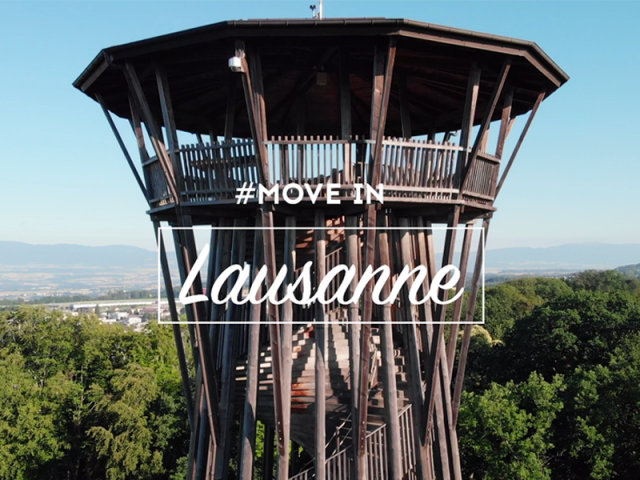 No problem, Lausanne is a small-sized city that can be visited on foot! In less than an hour, you can walk from the historic district of the old town (La Cité) to Tour de l’Ale, one of the last vestiges of the town’s medieval walls. The 10 stunning viewpoints on the Panorama walk will surprise you! Whereas the most relaxed way to discover the town is without doubt to stroll from a bucolic and hip café terrace to another.